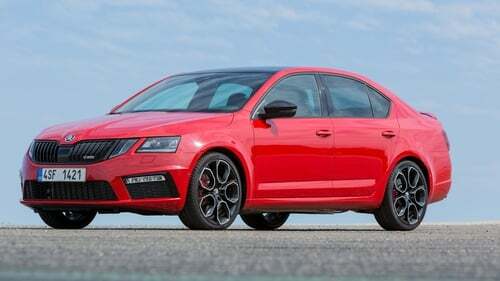 The Skoda Octavia dropped only 22 per cent in value over three years. A new survey puts the Skoda Octavia well ahead of other cars when it comes to second-hand values on the Irish market. It shows that the Octavia has dropped in value by an average of 22 per cent after three years. The survey was carried out on cars sold on the DoneDeal website - now one of the biggest marketplaces for second-hand cars - over the past three years. The Octavia was shown to be ahead of the Volkswagen Golf, which dropped in value by 27 per cent after three years on the road. The Ford Focus came in with a 36 per cent drop over the same period. It's the second time the Octavia has emerged with the highest residual values on the second-hand market. Skoda, the Czech manufacturer is part of the Volkswagen group, and shares many component parts with cars in the group, such as VW and Audi models. The Octavia may not be the most interesting looking car - inside or out - but when it comes to space, practicality and a cavernous boot area it has a significant appeal over other small family sized cars. It has done particularly well in rural Ireland, where it has established a reputation as a workhorse, rather like the old Volksagen Jetta did back in the day. Skoda is now the sixth most popular brand on the Irish market, with a share of 7.3 per cent of new car sales and, despite the trend towards smaller SUV's the Octavia is the company's biggest seller. Some 3,400 Octavias were sold last year.